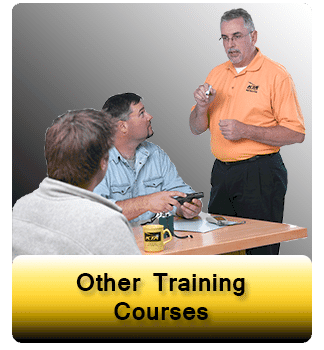 Other KTA Training Courses | KTA-Tator Inc. Recommended for coating contractors, engineers, specification writers, coating suppliers, technical representatives, quality control and quality assurance personnel, this course analyzes the primary causes of coatings failure, the testing and documentation required during a field investigation, the forensic (laboratory) analysis, and the management of the failure itself. The KTA publication, “Using Coatings Inspection Instruments,” 3rd Edition by W.D. Corbett, is included with the workshop fee. Vendors supplying pre-painted components/products to nuclear power-generating facilities for use in Service Level I, II and III areas are required to be trained in the quality requirements of surface preparation and coating application standards governing the selection and use of coatings in nuclear facilities. This course meets both the requirements and criteria of 10 CFR 50, Appendix B, and ASME NQA-1, the two governing documents addressing nuclear quality assurance. The course also meets the training requirements outlined in ANSI N45.2.6, ASTM D4537, and ASTM D5498. Course Topics Include: the history of the standards that regulate coatings use in the nuclear industry; safety-related nuclear coating systems and DBA testing; the safety-related issues of coatings failure on the safe shut-down of a nuclear facility; the types of coatings used in the nuclear power plant and their surface preparation requirements; and the appropriate testing procedures needed to evaluate surface profile, surface cleanliness, wet and dry film thickness, and degree of cure. Hands-on inspection instrument workshops are included in the curriculum. Designed for nuclear facility owners, engineers, nuclear coatings inspectors, nuclear inspection supervisors, QA and QC personnel, and coating contractors, this course provides the essential, nuclear-related instructional elements referenced in the ASME and ASTM standards for the plant certification of Level 1 nuclear coatings inspection personnel. Course Topics Include: strategies for coating use in a nuclear plant; nuclear technology development; health physics; nuclear coatings inspector certification; the history of ANSI, ASME, and ASTM standards that regulate nuclear coatings operations; corrosion control through coatings; nuclear coating systems; surface preparation and cleanliness standards; the inspection of concrete surfaces; coating application; and methods of preventing and correcting coating failures. *To be eligible for CEUs, participant must attend all sessions, participate in all activities, complete all assignments, complete a written evaluation of the course, and attain minimum required scores on the final written and/or practical examinations.